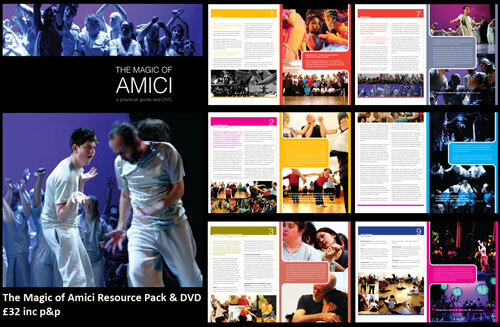 A 34 page A4 written practical guide about Amici and their working methods with a foreword by Clement Crisp OBE, anecdotes from Wolfgang Stange. DVD narrated by Sir Ben Kingsley. 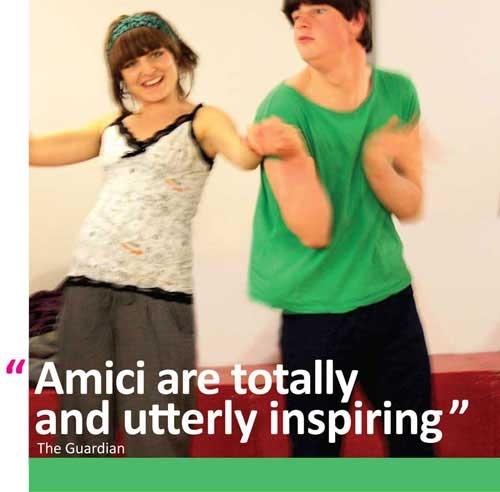 Young Amici is for those aged 11-25, disabled & non-disabled who are interested in dance & theatre. The classes are FREE, fun, fully inclusive and suitable for all levels of experience. Young Amici is a chance to meet new people, take part and experience dance through Amici’s unique improvisation techniques and discover the Magic of Amici. Amici Open Workshops at The Lyric, Hammersmith. 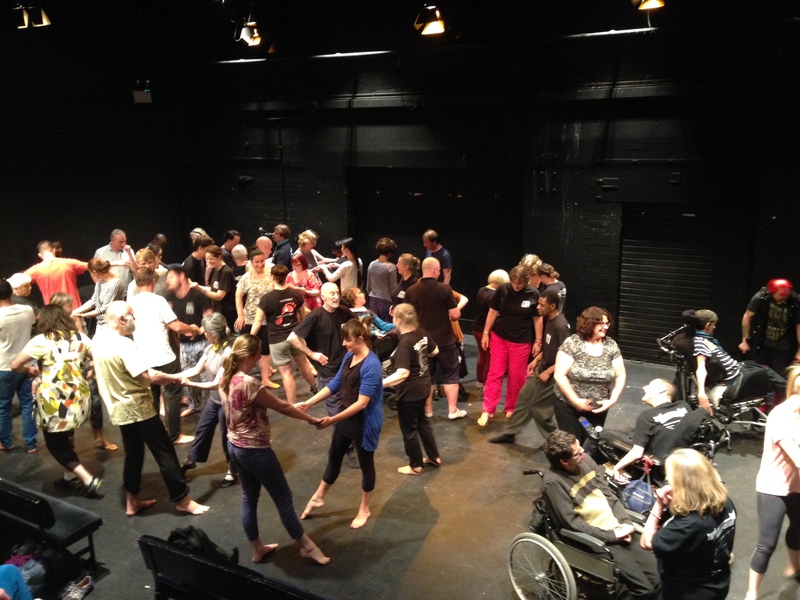 Amici regularly get requests from teachers, practitioners, dance students and people of all abilities and levels of experience interested to attend their classes, learn their methods and teaching practices, in response Amici hold “open workshops”, which are open to anyone. A unique opportunity to take part in an Amici Dance Theatre Company workshop run by Wolfgang Stange and Amici members. Please join the mailing list and we will let you know the dates of future Open Workshops. 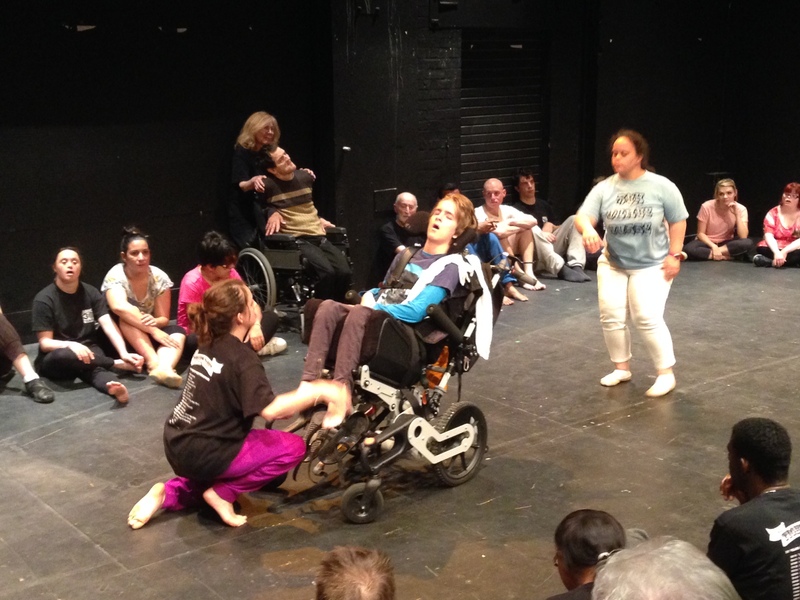 “Amici free us from preconceived notions of art and disability - stereotypes are totally subverted and our perception of the power of theatre is not so much challenged as heightened”. Join our mailing list to be kept informed of up-coming Open Workshops.